I had been obese since I was a child. I was raised on McDonalds, Burger King, Taco Bell, and anything unhealthy. Convenience was paramount to nutrition in our busy household. I refused to do sports as a child for fear of getting winded. I would make fake doctors note for PE so I wouldn’t have to participate. My last name growing up was “MankKOWski”, and people played off of the fact that I had the word “cow” in my name due to me being heavy. I found myself at an all time low after giving birth to my son Landon in 2011. I was miserable, broke, working on my second divorce at only 24 years old, and I was fearful that no one would want me and I would be alone forever. I had been cheated on as well as emotionally, verbally and mildly physically abused by my husbands due to lack of confidence pertaining to my weight. I was completely stuck- and had to crawl my way out of the dark black hole I had left myself fall into somewhere along the way. I remember looking at my son and thinking “I have to live a better life or you’re not going to”. 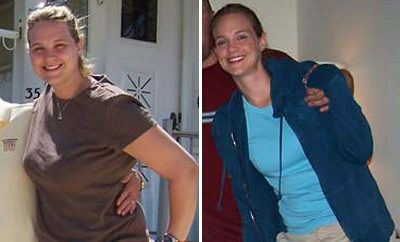 My sister in law at the time had started on a meal replacement program and I was watching her disappear more and more at each family function. I had to put my ego aside and ask her what she was doing. I dove in head first and the weight just started falling off. I lost 9.6 pounds my first week, 17.8 my first month, 40 in 90 days and 95 in 8 months. The old saying is true, it takes losing about 20% of your body weight before you can look in the mirror and tell a big difference, but I was perfectly content watching the scale slide down every time I got on it. Luckily I didn’t have to exercise because it is not something I have ever liked to do. My exhusband was unsupportive and terrified that I would get confidence and leave him. I dealt with him trying to sabotage my eating as well as giving me guilt trips about the money I was spending. The program I used was expensive – it was nearly a car payment every month. We were a young family on one small income. I was so past my breaking point that I put my very first order on a credit card and eventually sold my for a cheaper one and used the difference to pay for the rest of my diet. I wanted to give up many times. Losing weight isn’t easy. Persistence isn’t easy. Focus and determination are hard. I wanted to throw in the towel at 3 months even after losing 40 pounds- I couldn’t see that as significant for some reason. I never plateaued physically, but mentally. Writing down goal sheets and revisiting dream boards helps you to stay focused and stay inspired. 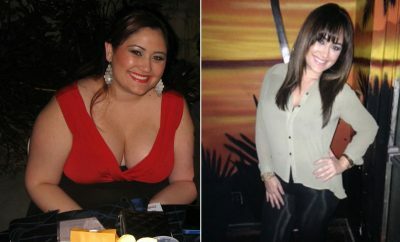 Keeping my nose in a weight loss book, or my face glued to a screen with pictures of success stories and before and afters is what kept me focused. Everything I did had to be weight loss related – what I ate, what I read, what I looked at, what I talked about- everything. Focus like a fighter with tunnel vision for the win. I used to eat a huge bowl of sugary cereal for breakfast followed by no lunch and I would scarf down a carb filled dinner. Now, I make sure to eat many times throughout the day, a more balanced diet with enough protein, and I don’t over indulge. I still eat the foods I love just less of them. In fact, I just returned for Greece and Italy where I indulged in pizza, gelato and pastries and came home 3 pounds lighter than the day I left 🙂 balance is key! Being aware and accountable for what you put in your mouth is SO important. I used to be 100% sedentary. I never got out of the bed or went out of the house. Now, I swim with my kids, take them to amusement parks all the time, we go on cruises and vacations that require a ton of walking, and I travel the world and go to countries where you walk miles and miles to see the town. Plan – don’t ever catch yourself unprepared. Tunnel Vision- don’t let anything get in front of you that may derail you. Keep your eyes on before and afters. Keep your nose in a weight loss inspirational book. Talk in forums to others succeeding on your jounrney. Do all things weight loss. Keep your goals at the forefront of everything you do from day one until done. Get to the root – think back to being a child or the first time you ever felt fat, unworthy, not good enough, self conscious. Who was there? What was said? Journal about this. It may be painful. Did someone refer to you as the “chubby sister”? Were you told that your room as a “pig sty”? Believe it or not, we often hold onto these things spoken over us at childhood and before we knew it little Kristina ManKOWski who had the “pig sty” of a bedroom is a sloppy fat mess because she believed what was said to her by some mean kids on the playground and a parent who meant well and just wanted a clean bedroom. Forgive these people and speak affirmations about yourself daily. Have a goal date. Goal dates are like wedding dates- they are exciting! They are real! They give you something to count down towards and look forward to. It’s not “sometime” it’s an actual date! How do you find your goal date? Easy. I suggest making 3; one fast track, one average and one slow track (because we sometimes don’t lose as fast as we would like). If your goal is to lose 50 pounds, divide 50 by one, two and three pounds per week. Slow date would be 50 weeks from today, average would be 25 weeks from today, and 16 weeks would be your fast track. You can google “what day is 16 weeks from today” and it will spit out your goal date. Treat this date as special as you would your wedding date. Write it down. Put it on your mirror. Put a countdown in your phone. Fall in love with it! Kristina you rock! Would you please please share the name of the program you used? “Forgive people and speak affirmations about yourself daily” – gives me a feeling you are lovely person inside and out. God bless you. I am glad you left your controlling jealous unsupportive husband…abusive….. I wish the article would have named the meal replacement program. My guess would be something like Ideal Protien. If you stick to that plan you can lose weight like this with no exercise and when you “phase out”, they encourage walking as the main source of exercise. It is TSFL/Medifast she is a coach for this program. Not liking the fact that she said “luckily I didn’t have to exercise because it’s something I’ve never liked to do”. Losing weight by meal replacement programs alone is not necessarily the healthiest way to lose weight. Exercise is very beneficial to our body especially our hearts. 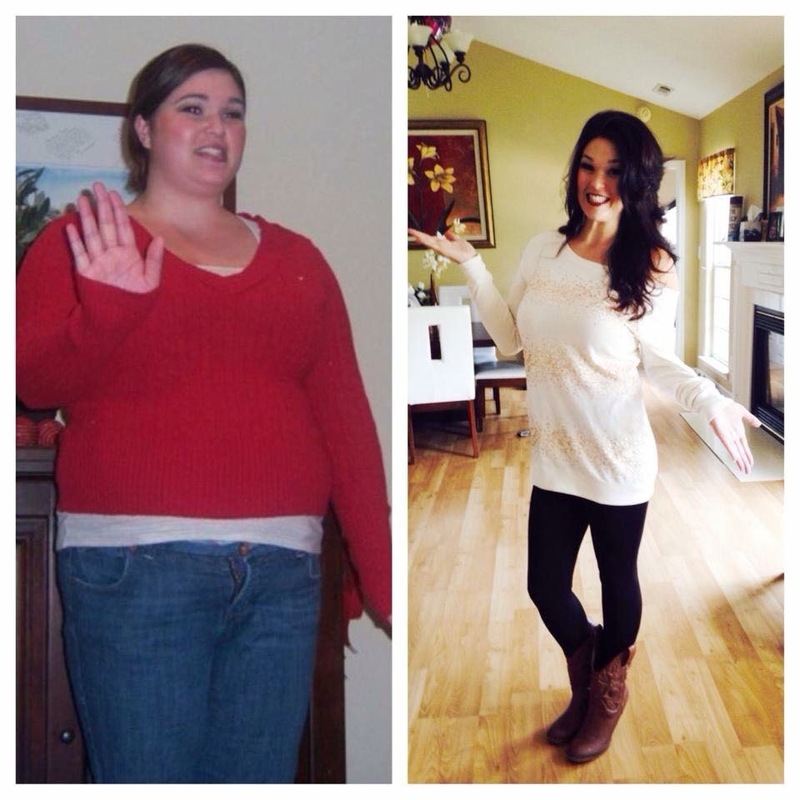 She is quite an inspiration, keeping this in my Pinterest board called New Me. Can you send me more information please is this a exercise program, pill or? You have nailed it! 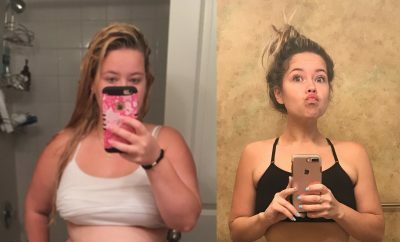 I love how you used weight loss stories to motivate you! Congratulations! 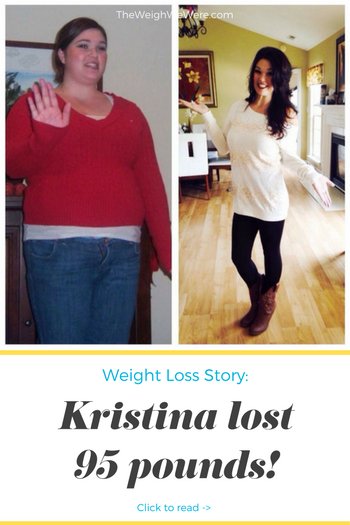 Kristina you are so inspirational, great job!